Bright and airy painted brick on a low traffic street. Pretty hardwood floors in most rooms. Kitchen and master bath have been updated. Huge flat backyard and owner just put up a wood privacy fence to enclose the yard and back deck/patio area. Back yard is very large and wonderful size for a dog to run and play in. Back patio/deck is an ample size too to host large or small gatherings. Main level laundry room. Double carport has been enclosed to a garage and there is a storage room in garage too. Don&apos;t miss this opportunity to call this one your home. 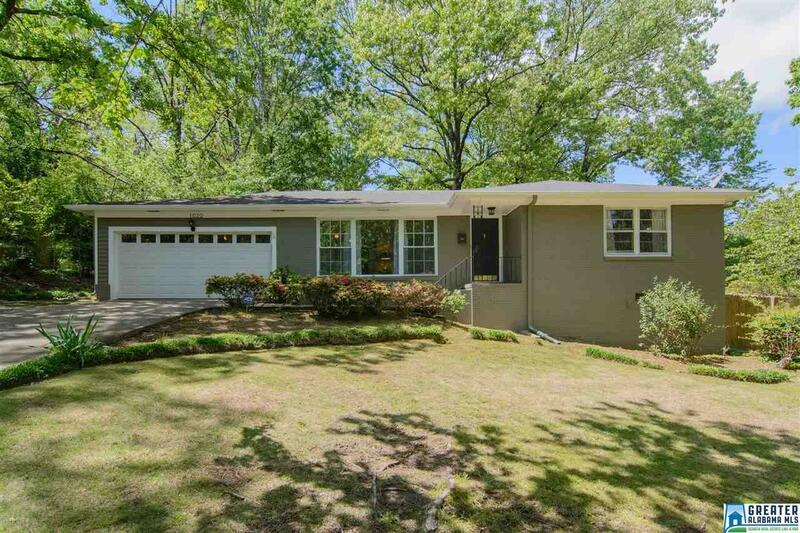 10 minutes to UAB, Downtown Business District, or the Airport. 9 major grocery stores 5 to 10 minutes away. Tons of shopping and entertainment/restaurants 5 to 10 minutes from your door. Crestwood Park, Avondale Park, and Mountain Brook Walking Trail nearby.